Me, Katie, & Kate (K.R.) ~ 3 Ks get confusing! We're gearing up for another weekend-long book signing! 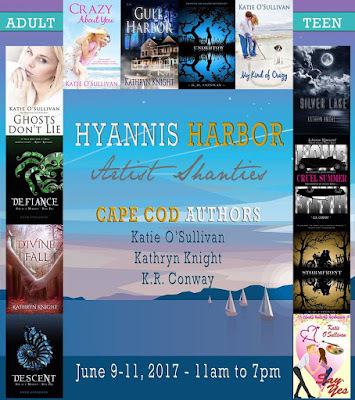 I’ll be signing books all weekend at the Hyannis Artist Shanties at Hyannis Harbor with two other Cape Cod authors, Katie O’Sullivan and K.R. Conway. Between the three of us, we have a dozen titles for adults and teens, in genres including romance, paranormal suspense, urban fantasy, and young adult. So if you’re in the Cape Cod area, stop by to grab some new summer reads! We’ll be there in our shanty on Ocean Street (across from The Black Cat Restaurant) from 11 am – 8 pm on Friday, June 9, Saturday June 10, and Sunday, June 11. 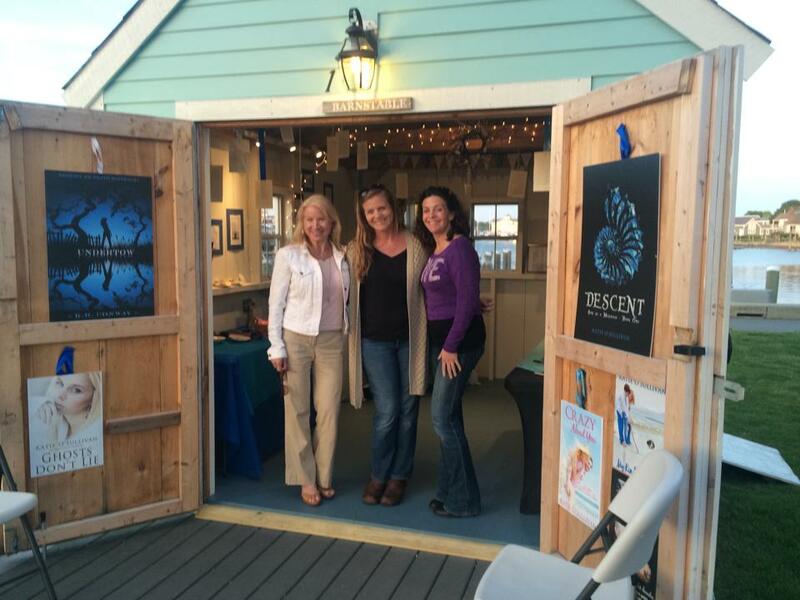 The Artist Shanties are a group of cute little stand-alone “studios” right along the water. Offerings vary by weekend, and all items available are handmade or handcrafted by the artist. The site has a link to all the artists and their work, along with the dates they’ll be there. We had a blast last year and we're looking forward to another fun weekend! Many of our books are set on Cape Cod, including my latest release, Haunted Souls, a steamy romance mixed with a ghost mystery, set in historic Barnstable Village. In fact, the Old Jail House on Rt. 6A, considered actively haunted, served as the initial inspiration for the story. 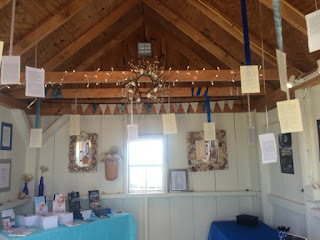 My other romance/ghost story set on Cape Cod is Gull Harbor, which has been a #1 Kindle Bestseller on several occasions. While Gull Harbor is a fictional town, I based it on Wellfleet, a beautiful area with kettle ponds and a coast line that's part of the Cape Cod National Seashore. 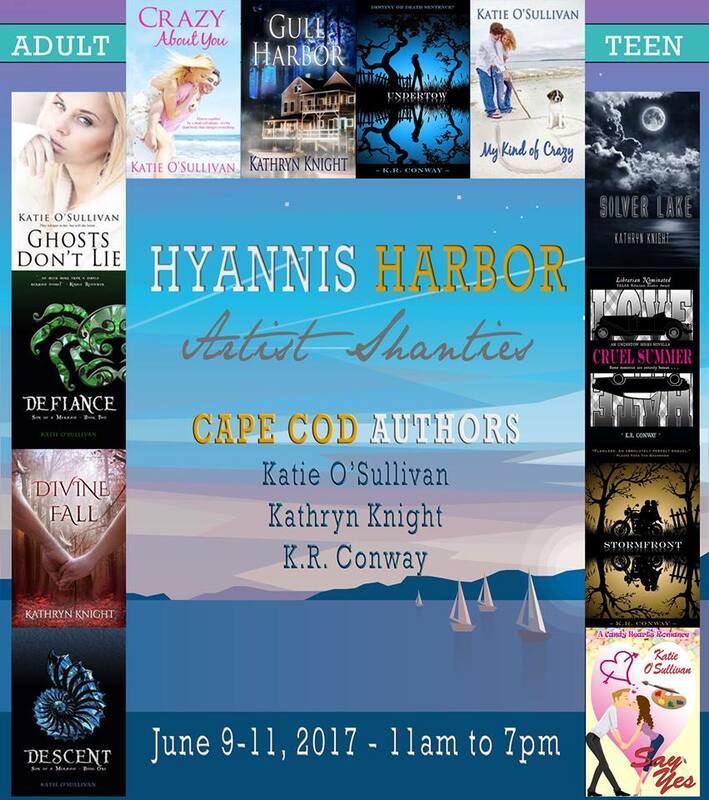 If you're in the area, come by and visit us, and check out all the literary and artistic creations offered by Cape Cod locals!